Depending on what lens you are using you can add in creative control, different perspective, and technical improvements to your photographs. Choosing the right lens can lead you to have more control over your final image that you want to frame or already framed in, in your mind. 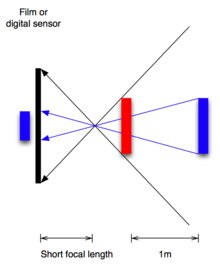 Influence of lens can lead to optical aberrations, distortions (vignetting) etc. 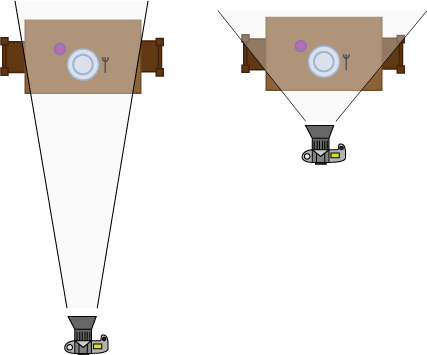 Focal length determines the angle of view at any given photographic position. A wide angle lens has shorter focal length while zoom lenses have longer. Many can argue on the fact that perspective can change with the change in focal length but strictly speaking, it just depend on one’s position relative to the subject and nothing else. Focal length can influence many more factors like making telephoto lenses are more susceptible to camera shake. Focal length can influence have significant influence like this: longer focal length needs smaller exposure time as because the image may get blurred while framing it. This is mainly due to of rotational vibrations get increased with increase in distance. Think of it as one is trying to hold laser beam steady; the point jumps around over near objects, in any direction, less than the object which is much farther away. Lenses having varying aperture (light gathering area) within a predefined range are called zoom lenses. Here photographers can make vary their focal lengths depending on the subject matter whether to change their perspective or angle of frame they want to capture. A prime is what we called fixed focal length lens, where you can’t vary focal length if you wish to. Zoom lens offers the flexibility of capturing different images just by varying in or out, multiple shots can be achieved without doing any change of your actual position but that doesn’t mean you can’t move while handling a zoom lens; as I said it just adds in flexibility in terms of different perspective. Prime lenses are the 1st used lens in the world of camera, it is 1st and foremost type of lens used to capture images long before zoom lenses were invented. But why would one necessarily constrain there frame within a given focal length? Because it offers many advantages over any zoom lens and what comes first is its superior Image Quality. A normal inexpensive prime can you give equal or even better pictures than a zoom lens of same expense. When zoom lens first came to market one has to sacrifice a significant amount of optical quality and this is where the graph of zoom lens forms a crest. If one would like to use only a small fraction of its range then it’s always better to buy a prime of the same (more or less) focal length. Prime lenses are light weighed, easy and really fast. Now, please be acquainted with this “fast lens” term which I had mentioned earlier also. By Fast lens we mean it has a greater light gathering area and can producing much shallower depth of field. Expensive Prime lenses are always on the top of the fastest Zoom lenses, from the point of sharpness, optical quality, isolation of the subject from the background etc. That is why they are so widely used in low-light, portraiture, theatrical, sports Photography. Generally we consider a lens to be wide in angle if its focal length lies equal or below 35mm.Wide angle help us to exaggerate the depth of filed and relative size of a photo .It is really a powerful tool that encompasses several techniques which, if used wisely and with with good senses, can results in strong composition with greater accuracy in perspective. The explanation of ultra wide lenses is something fuzzier and on general it starts from around 20 mm and less. Now, for what purpose the lens used for and which trait of it makes it so unique? People generally frame up the idea that wide angle can only be used when one cannot step forward towards the subject but still want to capture the whole grandeur and essence. But the thing is not that at all, and if one were up to that track then they would be missing out a lot. The lens is used just for opposite: when you actually want to go close to the subject. Now many old schools chap says that wide angle lenses change the perspective for its huge angle of view. But truly it doesn’t that so as perspective is only affected by your position to the subject. Zoom or Telephoto lenses are very useful tools to achieve artistic and colourful frames. It closes up the distance and gives you a new look to your distant subject. They can also make your depth of field shallow to a great extend which you can put use in not only wild life but also landscape, portrait photography. Generally the range of telephoto lens starts from 70mm and up. Of those which are having 70 -135mm are called medium telephoto but many wouldn’t consider a telephoto to be “the telephoto” till the focal length reaches 135mm and post to that. Now you will question me why to use a Telephoto zoom? General notion says that telephoto lenses are used only to shoot distant object but that’s quite not true at all. It’s partly legitimate but not fully, telephoto opens up a wide range of possibilities while photographing similar objects but at different focal lengths, getting a bit near to the object. Though that shouldn’t be the case while shooting wildlife’s I hope!